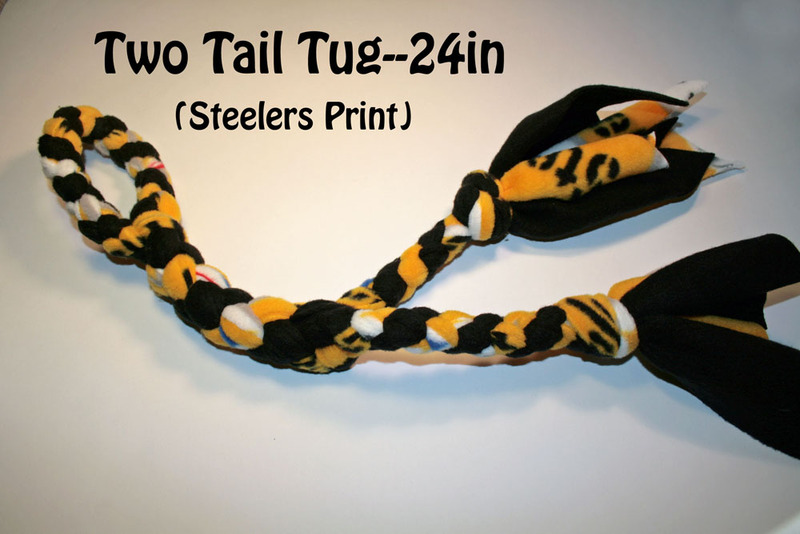 Tugs By Tena is an Etsy storefront where I offer a variety of custom and pre-made tug toys and tug leashes. You can choose the colors, size, and style. 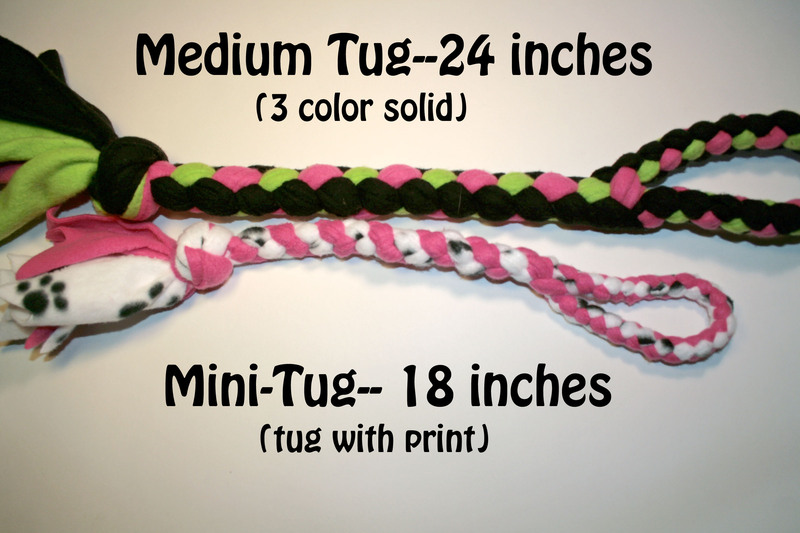 Want a hot pink and black/white paw print tug for a medium sized dog–no problem! 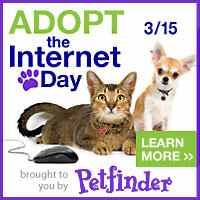 Want one with two tuggers on the end (for multiple dogs)–no problem! Want a tug the perfect size for your super fast agility pomeranian–no problem, I offer small tugs for those athletic toy dogs! 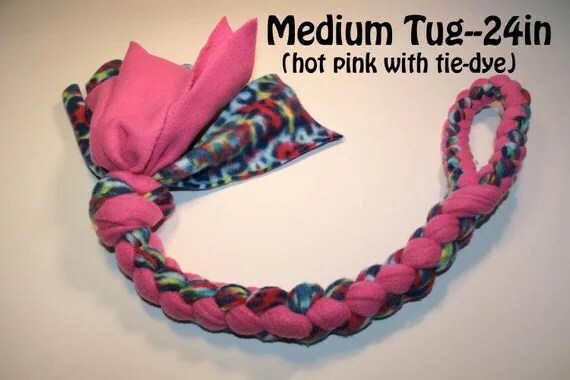 Tugs are made using strong knot/braid-work that holds up great on the agility field, flyball run, backyard fun and are great for general training work. I choose to use a sturdier knot/braid work with these tugs that gives them a stronger structure that also has some stretch to it. These tugs are excellent training tools to work on impulse control, retrieve work, drop-it or out cue, drive building, and bitework (a foundation to things like K9 Frisbee). Also available are convenient and functional leash tugs. These leashes are slip-style leashes made with a strong steel O-ring, though I do offer a combo leash that can be a clip leash or set up as a slip leash. These are excellent for walking to frisbee, agility, flyball fields, for quick potty trips or short walks around the block and are great for dogs reluctant to recall to be leashed up–easy on and easy off with a convenient reward. They are also excellent to use as rewards/motivators after runs/performances while walking back to crating areas. While they are commonly used in sports, I have used them while working on some reactivity by providing a fun and positive distraction to the stress of another dog. Leashes are approximately 5ft long with some stretch/give to them.